Before performing the below steps, you must click the "4 connected sites" link and add your Twitter account as a connected site. 2) In the "Follow more people" field enter your friend's username or email address. Yes, it's just that easy! Many professionals have found that proper use of social networking sites such as Linkedin.com and Plaxo.com help to quickly identify and market to hiring managers and recruiters. By properly completing your Linkedin.com profile, you will instantly connect with people you have gone to school with, worked with and associated with. For example, if you have your heart set on working at the University of Pennsylvania, the largest employer in Philadelphia, after logging into Linkedin.com, you can search on “University of Pennsylvania” , find and connect with several people who work there. More importantly, you will be able to quickly identify if there are people who work for the University of Pennsylvania that are already in your network. JCLamkin.com or JC-Lamkin.GLTmyPC.com allows you to connect with people who are technologically advanced. Additionally, once you’ve joined a Linkedin.com group, you will see the job postings listed in that group. Groups are online cafes where people of similar interests connect. Job recruiters and job seekers are often found discussing news and information in their respective industries. Hey, technology is not just for geeks any more! Techpodcasts.com's weekly hosts are informative AND entertaining. Of course, I value the contests, but I listen because I know that I learn something new. One of the top Social Media Knowledge Leaders of the decade. A must have on your reading list. A must follow for your social network. On election day November 2, 2009, many Philadelphians found themselves in a pickle. 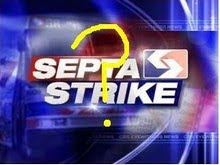 SEPTA workers, Transport Workers Union Local 243, had gone on strike. This action created a challenge for nearly half a million public transit riders of buses, subway, and trolley service in the Philadelphia - as well as the Frontier Division buses in Bucks, Montgomery, and Chester counties. As during previous challenges in America, however, the citizens used technology to aid and inform those in need. Twitter posts were ablaze with the "SEPTA" trending topic. Soon twitter users realized that this time the effects the strike would be different. They now had an open and free medium for communicating transportation needs with one another. Riders did not need to feel abandoned. 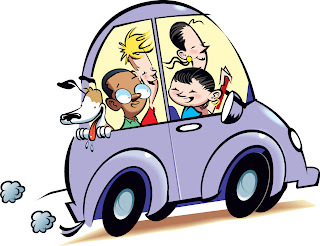 Drivers who had an available seat in their vehicle would post on Twitter which area of the city they were coming from, which area they were going to and the time they were traveling to let riders in need gain an opportunity for a ride. If the driver was leaving 52nd & Market Str eets at 9:00 a.m. going to Germantown they would simply post "@9:00 a.m., D: 52nd & Market Streets A: Germantown, Seats Available: 2 #havearide". "D" indicating departure and "A" indicating arrival. Conversely, if a riders needed transportation from Chestnut Hill to Broad and Olney at 10:30 a.m., the rider would post: "@10:30 a.m., D: Broad & Olney A: Chestnut Hill, Seats needed: 1 #needaride"
By connecting those in need of a ride with those who had available seats, Twitter users made the SEPTA workers strike less of a hardship for innocent riders who were left stranded. Once again, social media brings social solutions. When Popeye's Chicken posted their first tweet, there was not much fanfare. As a matter of fact, very few people noticed outside of Joe from SocializedPR.com. Now that Popeye's, KFC and Church's Chicken all have Twitter accounts, maybe things will get interesting. So far, these fast food giants have been online fine feathered friends (oh come on, you KNEW that alliteration was coming) . @kfc_colonel has commended @PopeyesChicken for having such great friends. Meanwhile, @ChurchsChicken shows no shortage of self-appreciation. But, seriously, I can't help but to wonder how difficult it must have been to convince the key decision makers of these companies to buy into the social media hype. See what happens when your Marketing Director doesn't recognize genius quickly enough. Your company name goes on sale to the highest bidder. No worries. Somehow, I don't believe any of these Tweet'amis campaigns will compare to Burger King's Subservient Chicken, anyway. It's Twitter. It's not about you. "Twitter. It's Not About You." Philadelphia, PA, --- The African American United Fund, a 501(c)3 welcomes all to attend the Revive Your Business...Be Social! workshop, on Wednesday, May 6, 2009, 6:30 - 7:30 p.m. at the African American United Fund Conference Room, 2227 N Broad Street, Philadelphia, PA 19132. Free will donations to The Fund may be made online, mailed in to African American United Fund, 2227 N Broad Street, Philadelphia, PA 19132 or presented at the workshop. This very applicable and relevant workshop will provide easy step-by-step instructions and give real-life scenarios especially for skilled laborers on reaching customers online. Participants will learn how to properly use Twitter and other social media platforms to engage prospective customers. If you can read, write and click, you should attend this workshop. * How should you use the internet to find customers who need your services? * What is mini-blogging? And, why should you care? * Should you use live web streaming to showcase your storefront business activities? strengthen and economically empower African American communities. This interactive workshop will be facilitated by tech expert, JC Lamkin, PMP, President of Gypsy Lane Technologies (GLT), a professional Internet solutions company headquartered in the Germantown section of Philadelphia with training offices in Philadelpia and King of Prussia, PA. GLT specializes in best-in-class database development, website development, social media strategies, webcasting, online marketing, Flash multimedia and content management solutions. GLT features an integrated team of project managers, web consultants, creative designers, writers, coders and marketing professionals who know how to get online results. Ms. Lamkin will also be available to sign copies of her book, “Fabulous & Tech-Filled, Volume 1” . Listen to the audio from a previous social media workshop or view the video trailer from a previous workshop. Check the GLT Evite page for more information on other upcoming workshops. During our interview with Mike Saxon SVP, Brand and Communications TNS Online TV, Mike explained how many online advertisers are becoming much more interested in personalized preferences of potential customers by using interest based advertising. Recently, Google, embraced interest based advertising. "We're writing to let you know about the upcoming launch of interest-based advertising, which will require you to review and make any necessary changes to your site's privacy policies. You'll also see some new options on your Account Settings page. Interest-based advertising will allow advertisers to show ads based on a user's previous interactions with them, such as visits to advertiser website and also to reach users based on their interests (e.g. "sports enthusiast"). To develop interest categories, we will recognize the types of web pages users visit throughout the Google content network. As an example, if they visit a number of sports pages, we will add them to the "sports enthusiast" interest category. 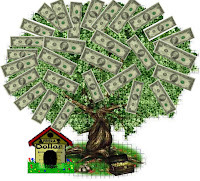 To learn more about your associated account settings, please visit the AdSense Help Center at http://www.google.com/adsense/support/bin/topic.py?topic=20310. For more information about interest-based advertising, you can also visit the Inside AdSense Blog. Certainly, this change will cause privacy concerns for many internet users. But, as with most net offerings, one may decide whether or not to participate. It's infectious, right?! It makes me want to pop-lock.